A guaranteed $1m first prize is up for grabs at the Playground Poker Club in Montreal. 2008 WSOP finalist Scott Montgomery, whose lifetime earnings total more than $4.5m, finished the day with 83,450,000 chips, followed by Farrell on 79,000,000. Once the players reached the money yesterday, eliminations came quickly and often. 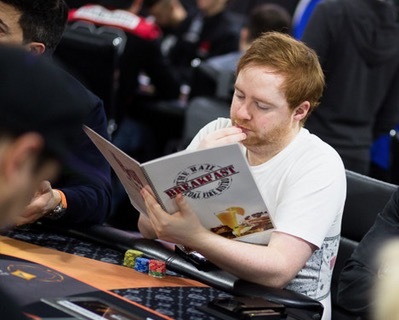 Familiar faces to finish in the money included Ryan Riess, Jason Koon, partypoker Ambassador Sam Trickett, High Roller winner Mike McDonald, Marc-Andre Ladouceur, Darren Eliasand Cate Hall.